We flew back to Toronto 10 days ago and since then it's been a whirlwind of visits with friends and family in both Canada and the USA. It's been wonderful catching up on everyone's lives and sharing what they've been doing since we left, but it's been slightly marred because we're both suffering from reverse culture shock. By definition reverse culture shock is feeling out of place in your own culture and it's apparently one of the biggest challenges travellers face. While in the UK and Europe these past six months John and I have shared wonderful experiences that have changed us on so many levels. Returning home has been surprisingly more difficult that we could have imagined. We're in our own country for goodness sake. We were born here and have spent our entire lives here. And yet, so much of what was once normal now feels alien and foreign. 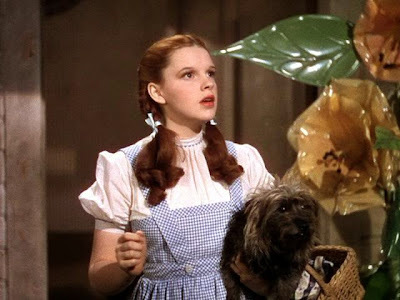 Like Dorothy in the Wizard of Oz who left a black and white Kansas to return to a Technicolor landscape we're viewing things from a fresh perspective and in new light.